Is Money Ruining Your Relationship? | Relationship help and Dating help Coaching by Expert Bree Maresca-Kramer M.A. Is Money Ruining Your Relationship? 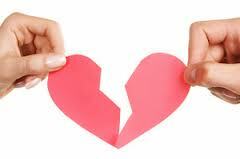 Statistically, one the top reasons relationships and marriages end is because of money issues. Ironically, this does not always mean there is not enough money to cover all of the expenses; it quite often has to do with one or both partners having unresolved anger and/or resentments towards the other concerning money and how it is handled. These feelings often emerge from a breakdown in the couples respect and understanding of one another. There are several things a couple can do to successfully navigate through these waters. The first is to employ effective communication. This encompasses sharing with one another your ideas, feelings, and fears surrounding the money situation in your relationship. This really is easy to say but often not easy to do simply because many couples do not have the skills. The great news is that these communication skills can be learned and applied in your relationship immediately. There are two ways to attain this help with improving communication. The first are the It’s That Simple! Relationship Help Books for Men and Women. The second is working with me one-on-one via phone or Skype. The second important element to incorporate into your relationship is compromise. This works when both partners are actively participating equally, meaning each is willing to give a little to find the mutually agreeable ground. In relationships where one partner is adamant that it must be his or her way, not only is an unnecessary power struggle created but a dysfunctional relationship as well. Believe it or not, I see more married women doing this to their husbands than the other way around. Lastly, is the element of mutual respect. Most of the time, when couples come to me for help with their relationship the level of respect they have for one another has been seriously eroded. We work together to rebuild their relationship first by gaining clarity and understanding of one another. We then move on to how to respectfully treat and talk with the other. From there we incorporate a healthy money consciousness within the relationship. By the time the couple is done, not only are their money issues resolved but their entire relationship has been improved! Still Single On Valentine’s Day? Are You Having Post-Wedding Bridal Blues? 5 Tell Tale Signs You Need To Run From Him Now!